The Women’s March is losing staffers and supporters in reaction to an ongoing anti-Semitism controversy that has seen the group’s co-founders refuse to condemn Nation of Islam Minister Louis Farrakhan. 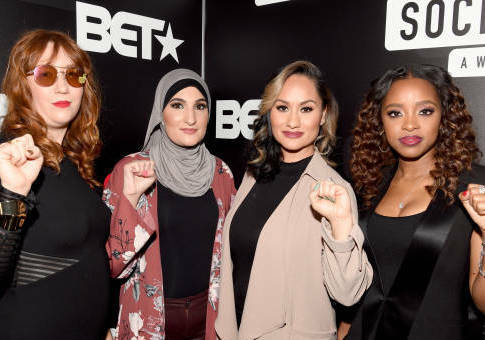 Former Women’s March social media director Alyssa Klein quit last week, some regional branches have condemned leaders’ refusal to speak out against Farrakhan, and other activists are cutting ties with the group, the New York Post reports. After co-founder Tamika Mallory refused to denounce Farrakhan’s anti-Semitic comments at his annual Saviours’ Day address, Klein tweeted the group was "turning a blind eye" to hatred. "I respect loyalty," she said. "I do not respect unquestioning loyalty. Especially if it means attacking those who are asking legitimate questions. And especially if it means turning a blind eye to the hate spoken about a group of people." I do not respect unquestioning loyalty. Especially if it means attacking those who are asking legitimate questions. And especially if it means turning a blind eye to the hate spoken about a group of people. Leaders, be open to questions. Farrakhan added to his long history of anti-Semitic pronouncements when he attacked "that Satanic Jew" and said Jews are "the mother and father of apartheid" in his February speech. Mallory was in attendance and expressed support for Farrakhan on Twitter, and when she received backlash, other Women’s March leaders defended her. Mallory is not the only Women’s March linked to Farrakhan. Linda Sarsour spoke at a Nation of Islam event in 2015, and co-founder Carmen Perez didn’t denounce him, saying he is not "perfect." The official response by the national Women’s March organization was a tepid statement that only criticized specific comments from Farrakhan, which disappointed many of the group’s supporters. "You feel stabbed in the back. It feels like someone you trust just punched you in the gut … I’m really wounded," former Women’s March supporter Nisi Jacobs told the Post. Jacobs helped create a Change.org petition to remove the Women’s March leadership, and he has since started a group called Women’s March for All as an alternative. Brooklyn activist Tali Goldsheft also told the Post that the leaders supporting Farrakhan should be gone. "If … these Women’s March leaders are attending his sermons and cheering him on, they should be called out and removed from their roles immediately," Goldsheft said. Planned Parenthood’s Northwest and Hawaii chapter also cut ties with Mallory, who was set to be a keynote speaker at an April luncheon. Multiple Women’s March chapters around the country have pushed back on the national organization for its response to Farrakhan’s remarks. The Florida chapter of the Women’s March, which maintains its independence from the national Women’s March organization, condemned Farrakhan and chided leaders for failing to do so. "We are disappointed in the National response to the condoning of Louis Farrakhan who espouses misogyny, homophobia and anti-Semitism," Women’s March Florida said in a statement. This entry was posted in Politics and tagged Anti-Semitism, Women's March. Bookmark the permalink.